By paying close attention to these symptoms, alert residents can request the assistance of a roofing contractor quickly. Sometimes obtaining necessary roof repairs before extensive damage occurs enables a real estate owner to save money. For example, replacing shingles usually costs considerably less money if the underlying wood remains in good condition and does not require carpentry work, as well. Seeking timely repairs proves cost-effective. Following a severe storm, homeowners sometimes notice roofing nails or even entire shingles strewn across a lawn. Although this situation clearly indicates damage, in some instances people chalk up a few missing tiles to a passing thunderstorm and fail to take prompt action. Unfortunately, ignoring the harm inflicted by the weather simply invites worse problems at a later date. 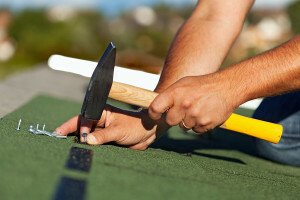 If you discover nails or pieces of asphalt tile in the yard, calling a roofer to perform an inspection as soon as possible and replace missing shingles helps prevent further damage. One early sign of potential roof leaks relates to the general condition of home gutters and exterior drainage systems. If metal gutters become heavily clogged with leaves or other debris, a seasonal concern in Toledo OH, it remains a wise idea to have them inspected and cleaned. A clogged gutter sometimes indicates poor drainage over a long period of time. Asking a professional to examine the roof for possible problems remains a prudent course of action. Black streaks across an asphalt roof typically indicates algal growth. Although the decomposition process remains poorly understood, the growth of invasive algae, lichens, fungus and moss across the surface of the roof portends future problems. By acting to correct the situation quickly, and asking a roofer to disinfect and clean away the plant material, a property owner often extends the useful lifespan of the roof. A sign of roof damage closely related to algal growth concerns cracked, curling or distorted asphalt shingles. When the chemical composition of roof tiles changes as a result of plant activity, for instance, shingles become distorted and misshapen. Tiles may grow brittle. Often very fine cracks emerge across the surface. 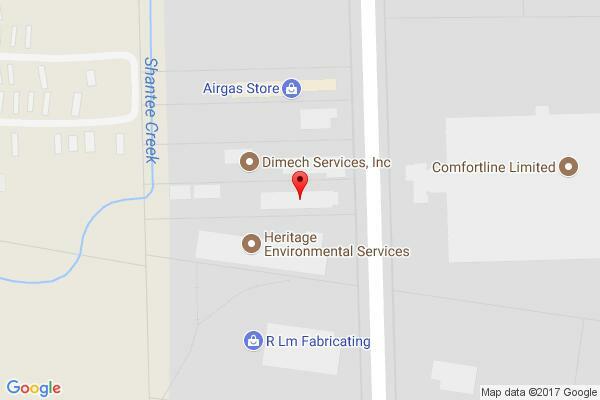 Homeowners should consider replacing these unattractive, permanently damaged asphalt shingles with new tiles or perhaps an entirely new metal roof system. Finally, another warning sign of roof damage involves indoor ceiling or wall staining. Stains may occur from plumbing problems. However, if a homeowner notices recent stains, the discoloration might result from a damaged roof. Water droplets do not always travel in a straight line through the interior of a residence; sometimes, leaks cause rain to flow along beams in a home and damage interior surfaces located some distance away. A professional inspection helps identify the source.